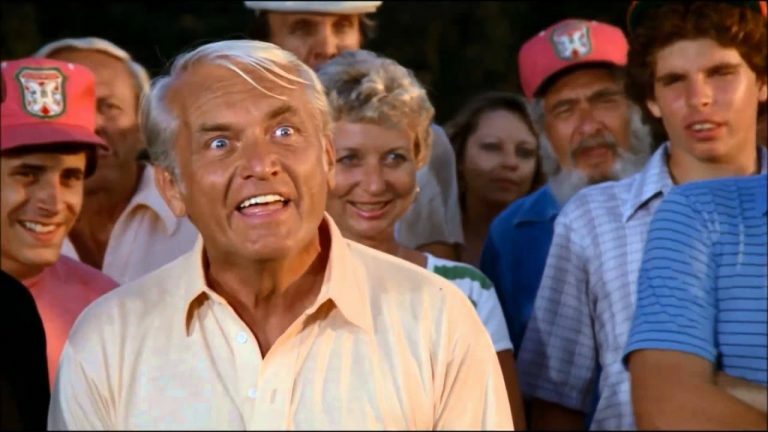 “Don’t count that, I was interfered with!” are famous words from the famous blow-hard golf cheater from Caddyshack, Judge Smails. He said it to his caddy, Danny Noonan, right after he kicked his tee shot out from under a tree on the first hole at Bushwood Country Club. For many American sports fans, Monday marks the NCAA Championship. For many others, Monday is the beginning of Masters week. Given the irrelevance of my office pool bracket, I am firmly planted in the latter group. Of all weeks of the year for the golf fan, this is the best one. The Masters is the best tournament. Tickets to the event are the most difficult to get. The television coverage is the standard for the sport. And the traditions of the event are worthy of long conversations that cover the culinary, the cultural, and the pageantry of the American South. As Rodney Dangerfield also referred to Bushwood Country Club in Caddyshack, Augusta National Golf Club is the world’s premiere “snob-a-torium.” And that designation brings with it a standard of class, and a whole lot of things for Americans to despise. In the book publishing business, timing is everything. This week also marks the release of the most compelling book that has been written about President Trump so far. 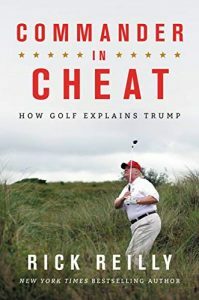 Former Sports Illustrated writer and 11-time National Sportswriter of the Year, Rick Reilly has released Commander In Cheat – How Golf Explains Trump. I am having a Masters party at my home next Sunday, and it might seem like a male book club this year because of it. Reilly quotes P.G. Wodehouse in Chapter 1: “To find a man’s true character, play golf with him.” For me, golf exposes my Irish temper like no other activity. But I’m working on it. For Trump, it exposes something far worse. “For golfers, the stain of cheating is so much graver than winning or losing that we live in mortal fear of being called a cheater,” Reilly writes later. This is correct. I won’t play golf with a cheater. Most other golfers I do play with won’t either, unless they have taken on the role of undercover golf police in hopes of busting the lowest form of humanity as a public service. Yes, cheating at golf is that despicable. Real golfers would see it the way Wodehouse did and Reilly does: if one cheats at it, he or she simply cannot be trusted with anything, ever. It should surprise no one that Trump is a cheater. That an accomplished writer can write 256 pages documenting it? Well, that is an unprecedented scale. I read one review that suggested Reilly might be piling on with his storytelling here. Undoubtedly, that was written by someone who is not a golfer. Golf is not the only game with an honor code. It is, however, the place where I learned the word “etiquette.” For the longest time, it was the only place I used the word. I more often use the word “protocol” these days, as it tends to be a word more broadly applicable in every day life. Trump has no regard for either term, whether on the golf course, or in the Oval Office. Most Americans likely could not care less about his golf behavior, but how this translates into his presidential behavior should be of the highest national concern. His loathsome conduct since his election in 2016 has exhausted many of us. Those examples are far too voluminous to even document. It gives great context to the size of Reilly’s book, as one of the largest volumes about a sports cheater in publishing history. Maybe books about the Lance Armstrong saga can compete here. And we all know what happened to him. Discussions about cheating can be interesting exercises. In some contests, successfully cheating is almost a sought after achievement. I think of Poker first, or more often in Indiana, Euchre, as card games where the best cheaters are usually the best players. Golf is different though. This book attacks Trump’s character with a finality that will be difficult to match. Robert Mueller’s finding that the president apparently did not conspire with the Russians doesn’t nudge the soul-obliteration this volume depicts. No special counsel report can save the character of a 72-year-old cheater at golf. No insult goes lower than that. It should be the comeback to every stupid nickname he doles out to his political opponents: “Oh yea, Mr. President, you’re a cheater,” in my circles, nothing else compares.